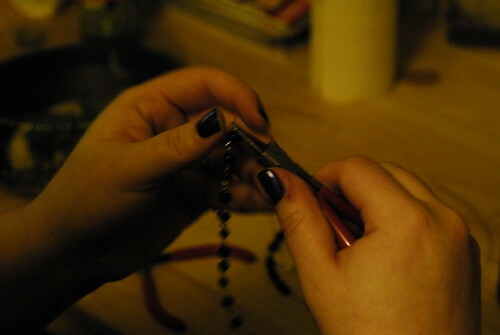 I wrote about Hacknight a couple of weeks ago, and I’m happy to say that a craft night appears to have started as well! I found Anna, Beca, Cheri and David all hanging out and crafting at Metrix the other night, and had to find out what they were up to. What started as a spontaneous meetup last week, has (hopefully) turned into a regular once a week event led by these crafty folk. They’ve decided to meet every Wednesday evening. Read on to find out about the sorts of projects they’re working on, and find out if you’d like to join them! Cheri is currently unemployed, but she didn’t seem to let that get her down. She’s using some of her spare time (at least five days a week!) to craft and sell online. 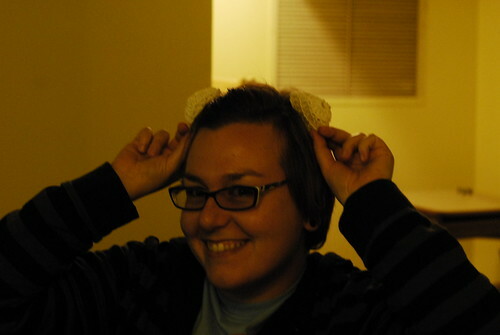 Last night she was crocheting a hat, and was also in the process of making a Hello Kitty themed headband. She had previously made a panda headband which was popular with her friends. She’s been to Metrix before, but is hoping to make it a more regular thing. The store is easy to get to by bus, she’s excited about the workshops, and also likes not having to pay to use the space (remember the unemployment thing?). I think that when you’re unemployed it can be tough to get out of the house and get stuff done. Metrix is a good place to come, hang out, and feel inspired! Anna was working on making a quilt- by hand. For those of you who don’t sew very much, that’s a lot of hard work. 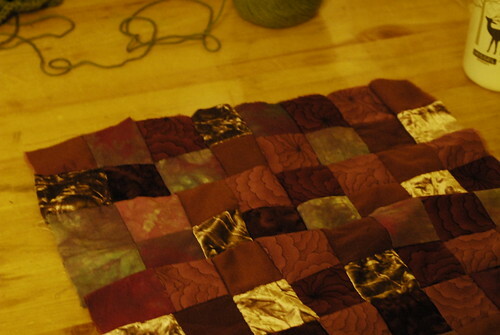 She’s made more than 20 quilts in 10 years (all by hand), which is quite impressive. She doesn’t work on them everyday, but she finishes them all. She used to come to the sewing night that was put on regularly, but since that has died down a bit, hadn’t been to the shop in a while. She said that one of the big reasons she was interested in a place like Metrix was the crossover of crafters and makers. She has previously worked with someone who was good with electronics to create new toys from old. He would take the broken mechanical parts of old toys, fix them up, and she would sew them into a new stuffed animal! She’s interested in doing more integration of electronics with her sewing. She thinks it would help bring together people who normally wouldn’t work with each other. I think she’s probably right and that this is a great idea! 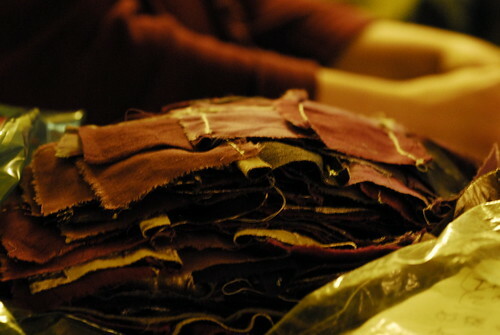 What other sorts of crafts would help bring crafters and makers closer together do you think? Beca (also unemployed and making the most of it!) was there working on her rather unique crafts. She’s making Victorian inspired mourning jewelry made of glass, onyx, amethyst, bone and human hair. She’s into steampunk and takes a lot of inspiration from the Victorian era. She’s planning on making a costume for next year’s steamcon, and is excited to use the tools at Metrix. Her costume is going to have a lot of frills and pleats, which requires a lot of fabric panels. As the laser cutter can cut fabric, it’s going to be much faster to cut out her panels with it, rather than doing it all by hand. She’s also excited to use the sewing machines and serger as her machine of 12 years recently died on her. Luckily Metrix is there! David was also hanging out, although you might not be able to call what he was doing “crafting”. He was fixing a keyboard, working on some website development, and also doing some development for Android. He thinks that Metrix (and especially this craft night with his friends) is a great reason to get out of the house and get some work done. If any of that sounded interesting you to, stop on by! All of them would love to meet new people working on different and exciting projects. Being around other people in a group like that always helps me focus. It’s also really nice to get feedback from like minded people. You may start to see me show up there too!